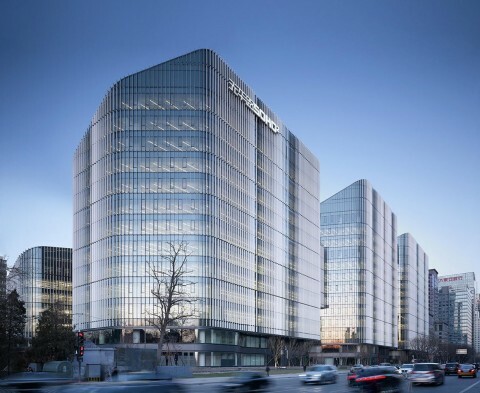 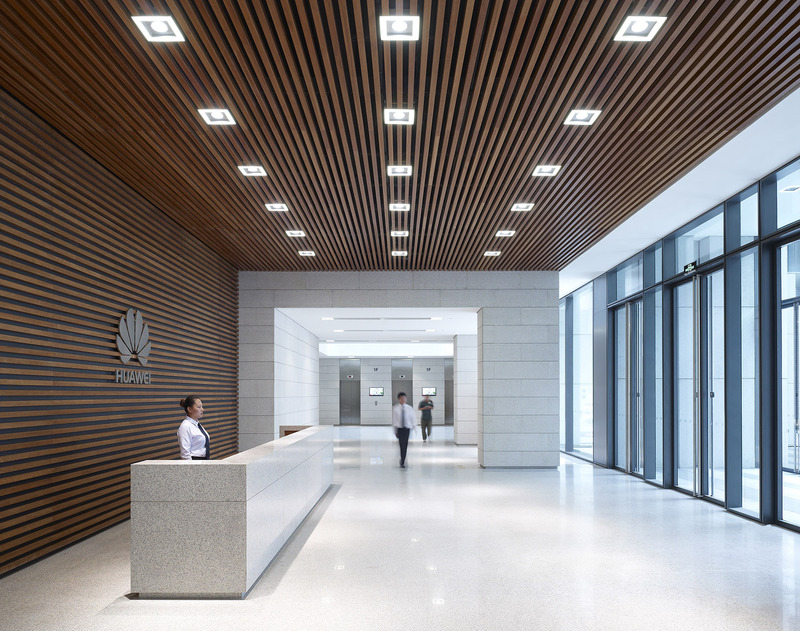 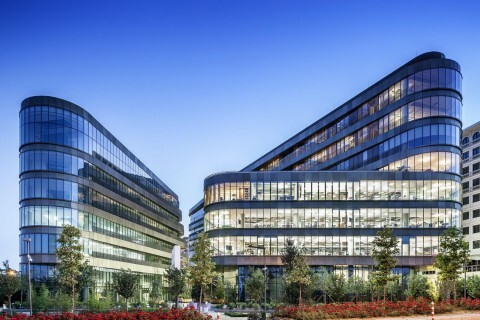 In Beijing, gmp · Architects von Gerkan, Marg and Partners have completed the Huawei Technological Fac- tory Buildings. 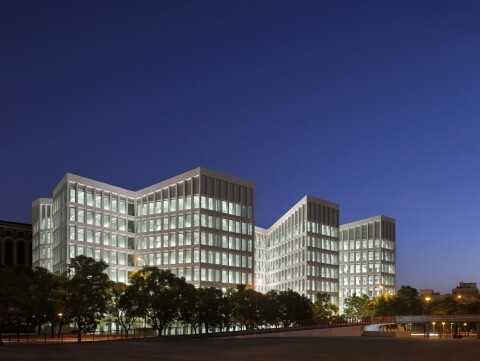 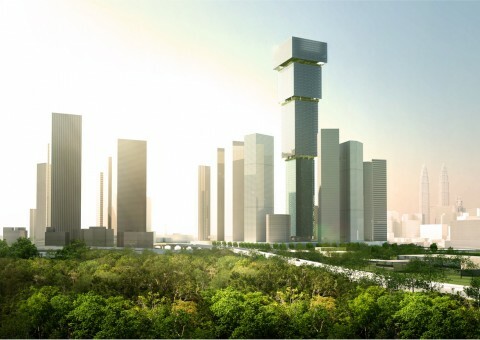 Following the previous projects in Shenzhen and Chengdu, this is now the third research and development center for the Chinese telecommunications corporation completed to a design by gmp. 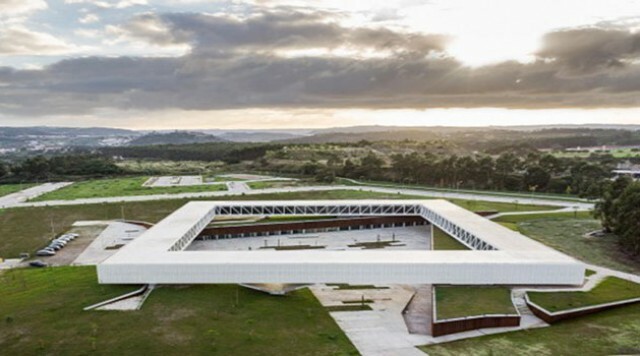 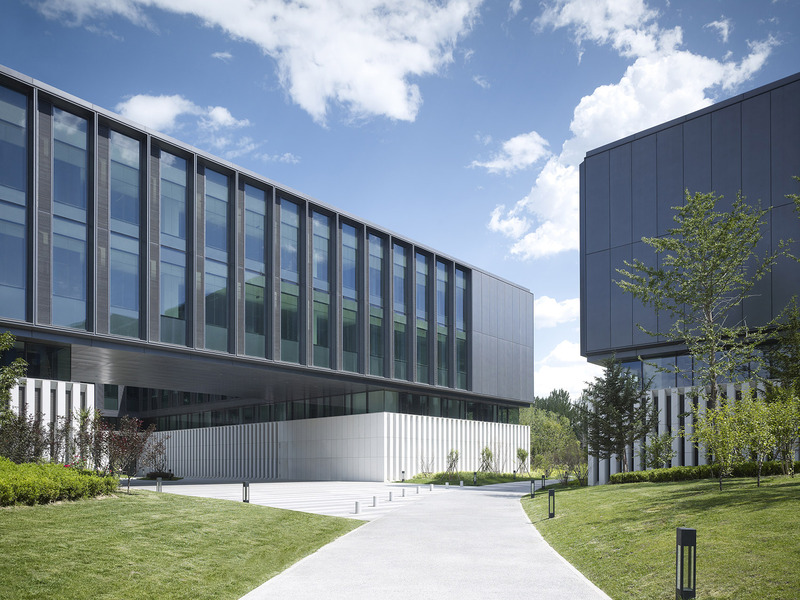 The development, with its gross floor area of 85,000 m2 and campus-like layout, provides a working environment that benefits from a close relationship with the surrounding landscape – nearly all workplaces face the park outside. 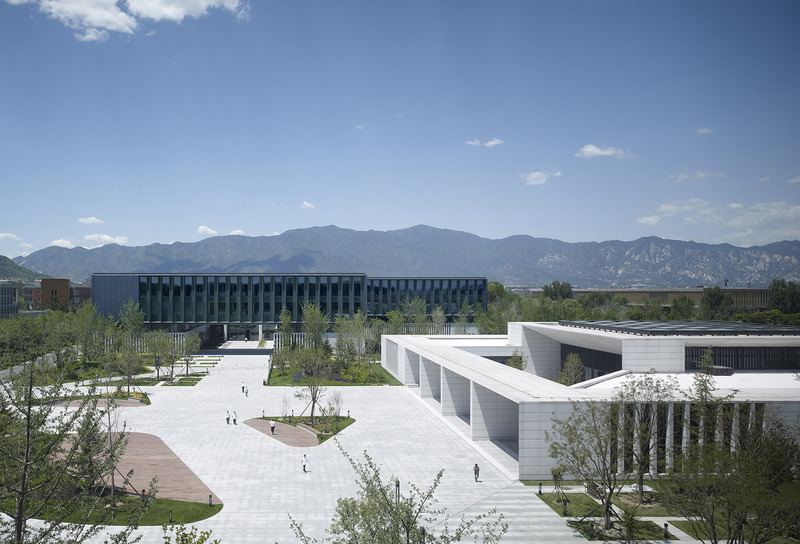 The outstanding feature of the place to the north-west of the Chinese capital, in the Zhongguancun Environ- mental Protection Park, is the impressive silhouette of the nearby West Mountains. 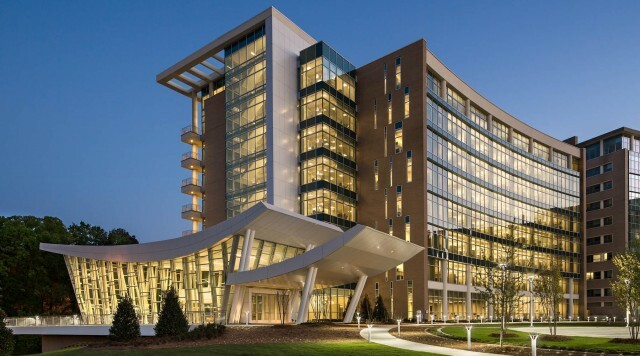 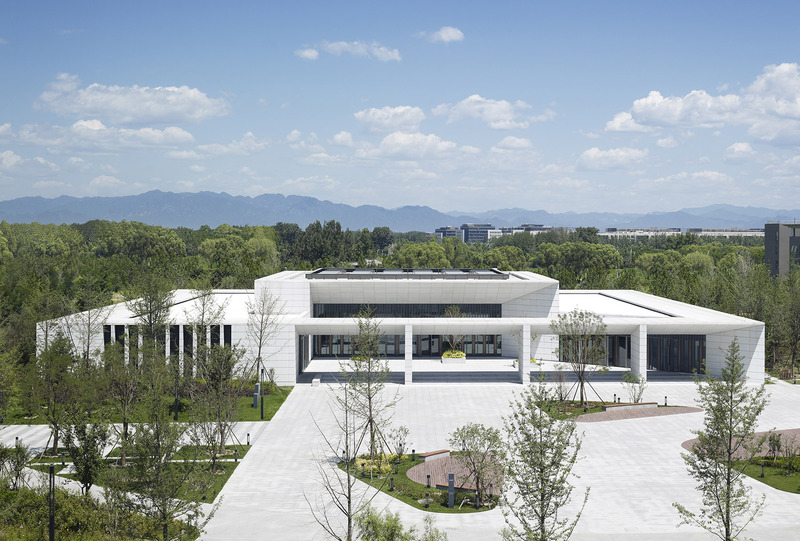 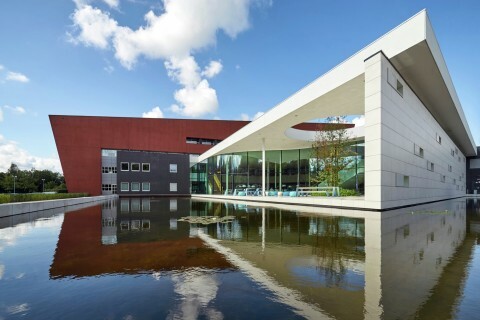 Designed in the pattern of a campus, three buildings for research and development are grouped around a canteen building at the center of the development within open parkland. 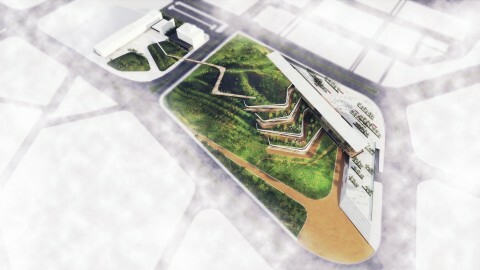 The site is accessed via an outer ring road and an inner network of pedestrian pathways. 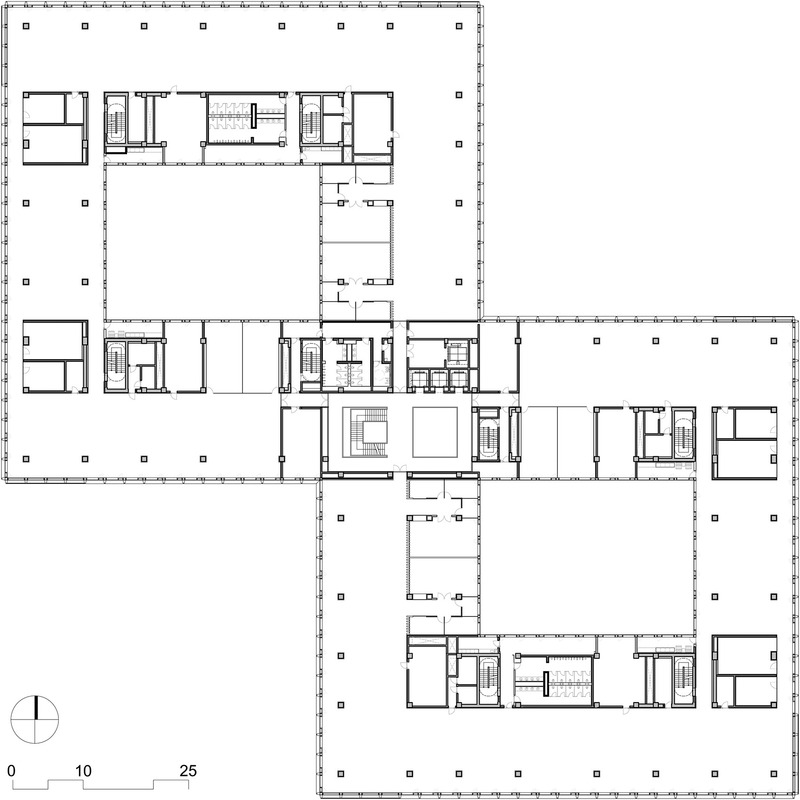 The four-story research and development buildings are made up of two intersecting square building volumes that, in plan, form a figure of eight and enclose an entrance courtyard and a garden area. 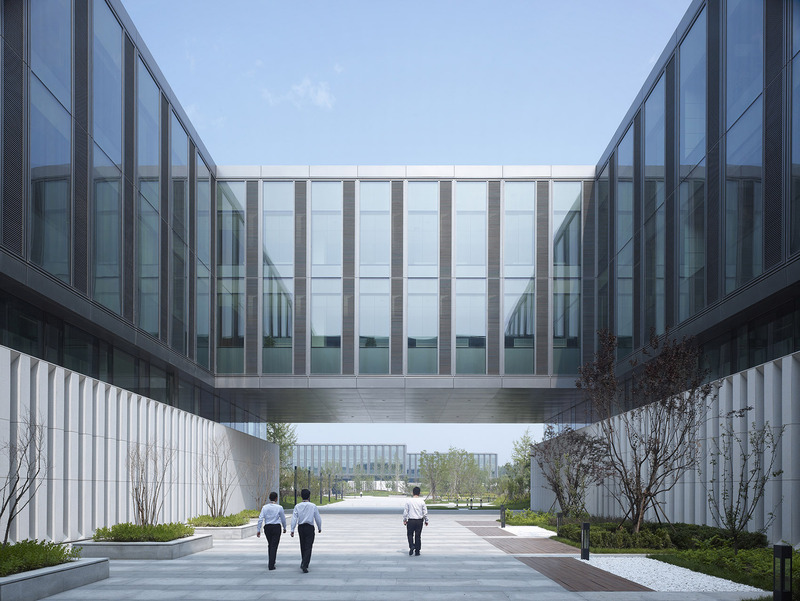 Both the courtyard and the garden area open out – in the manner of a gateway – to the landscape, thereby creating a transition zone between buildings and park. 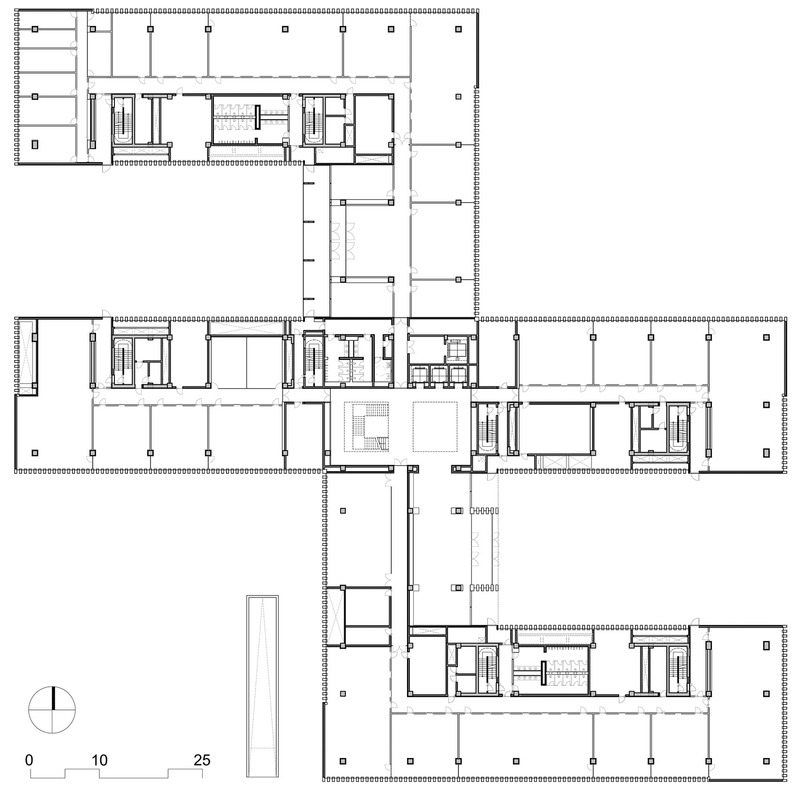 The first floor has been designed as a solid plinth with light-colored natural stone louvre elements, upon which rest the upper stories in a darker color. 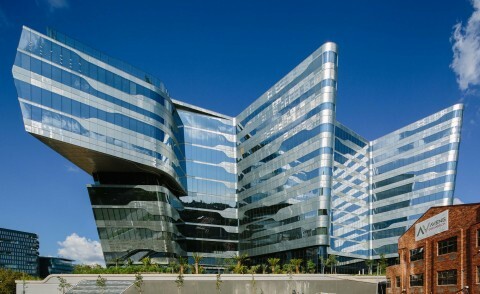 The upper facades consist of metal panels alternating with fixed glazing and slender ventilation casements. 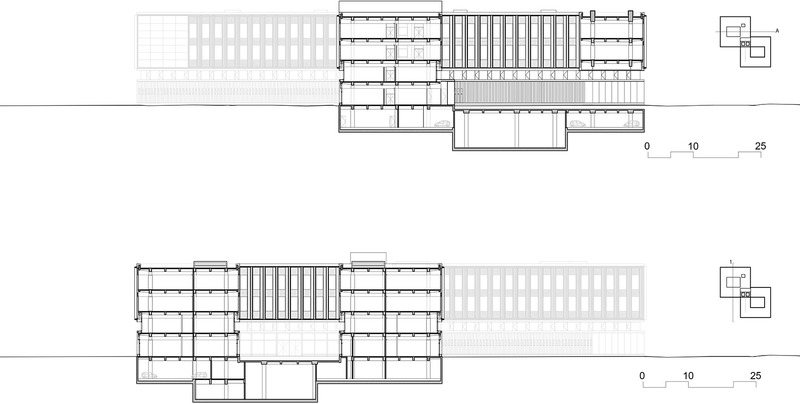 The upper stories are visually separa- ted from the first floor by the recessed glazed horizontal band of the second floor. 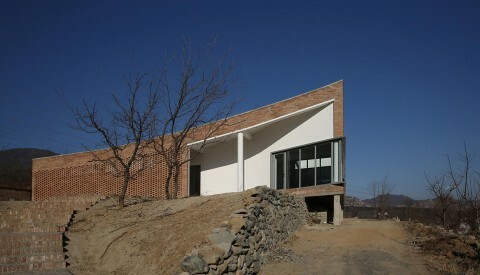 The canteen building features a similar sequence of spaces, with a gentle transition from the landscape to the architecture. 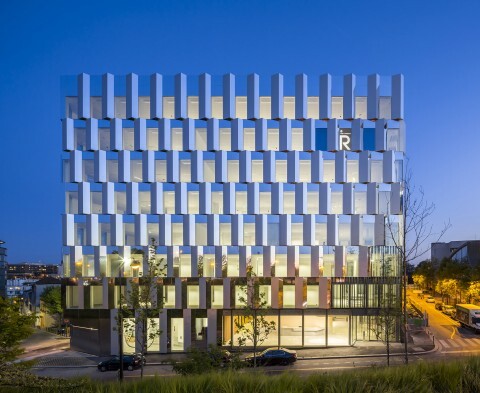 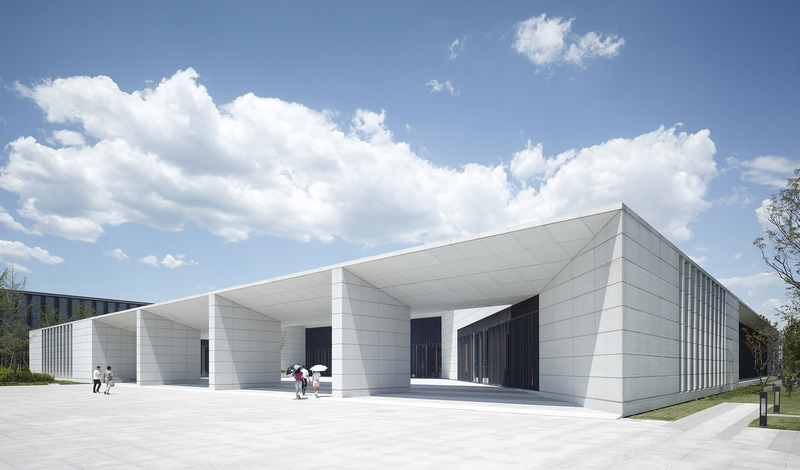 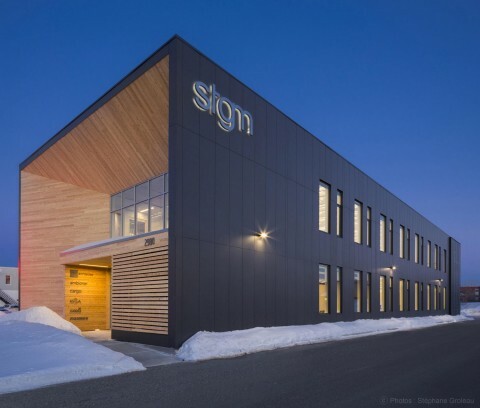 With its monolithic, light-colored appearance, the building presents a different character in accordance with its more public function as a meeting place for the employees. 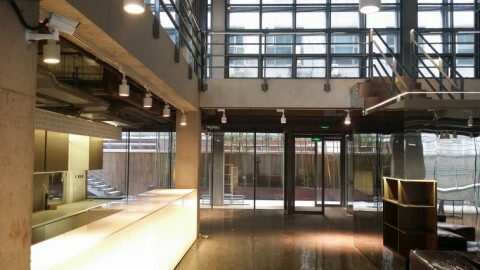 At its center is the large atrium accommodating the lobby. 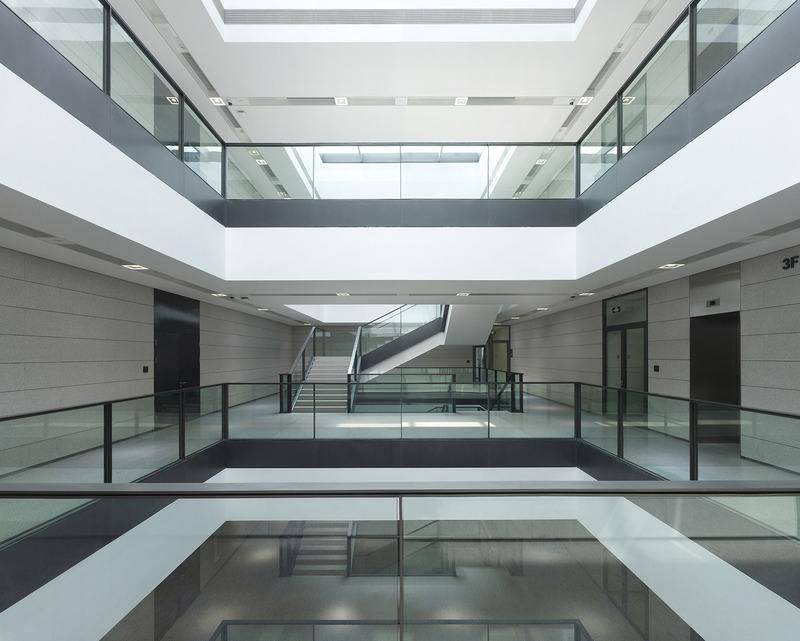 A rooflight admits daylight into the main hall. 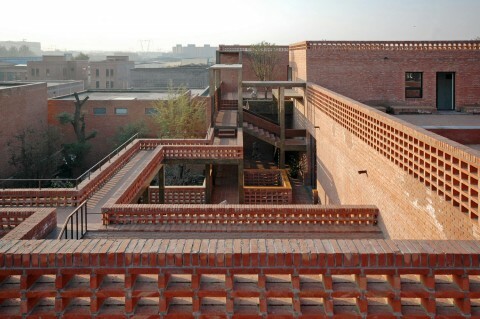 Huawei Technological Factory Buildings is an ensemble that derives its uniqueness from the spatial integra- tion of architecture and landscape and the interaction of design features. 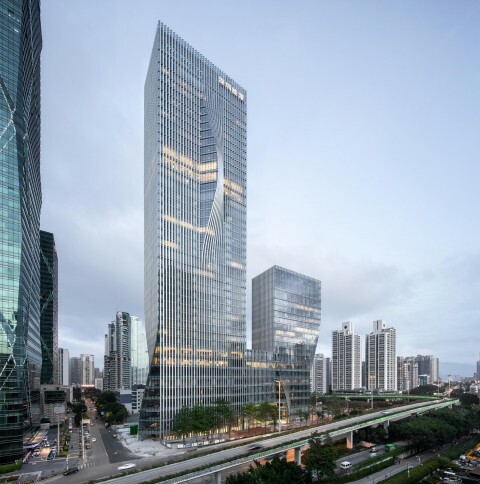 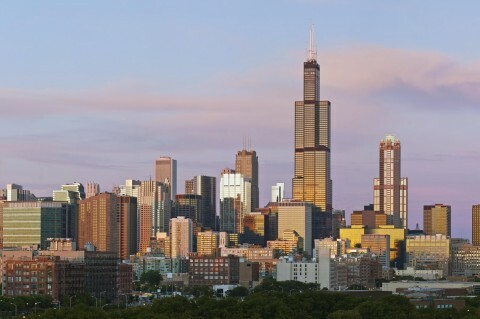 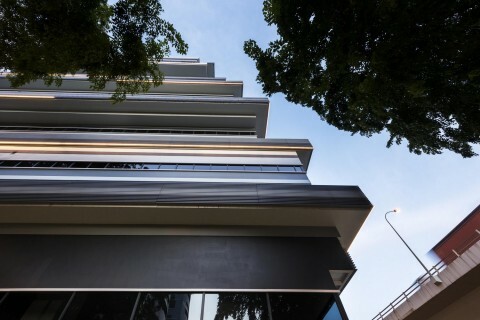 Tied together by the overarching order and scale of the building volumes, the user’s experience is enhanced by the attractive views offered by the network of pathways and the varied sequence of spaces.